The garden is such a busy place, but often goes unnoticed. Taking a break from planting, I've watched praying mantis, bees, and butterflies land and wander through just doing what they do. You are never alone in a garden. 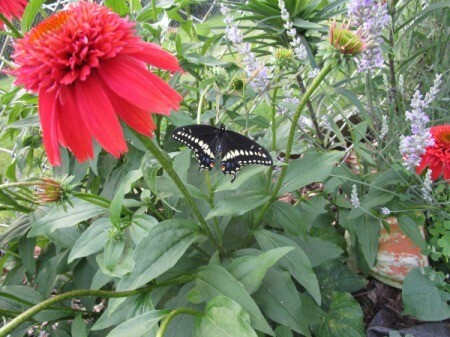 This was taken in my garden in Kingston PA.
Poetically put! Must be a beautiful sanctuary!